To celebrate the 40th anniversary of David Bowie’s truly groundbreaking and hugely influential album, The Rise and Fall of Ziggy Stardust and The Spiders From Mars, we gave you the chance to make the music video for Ziggy Stardust. This is one of rock's seminal albums and has polled as one of the Greatest Albums of All Time in Rolling Stone, NME, Melody Maker and on VH-1, so this was a huge opportunity for any filmmaker. The winner received $4,000 + David Bowie’s The Rise and Fall of Ziggy Stardust and The Spiders From Mars 40th Anniversary CD and LP. 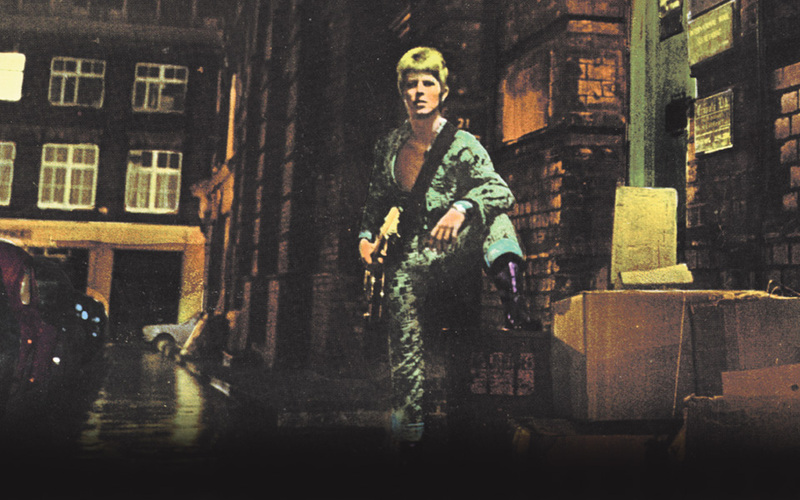 Ziggy Stardust was David Bowie’s fifth album and was originally released on 6th June 1972. The album’s influence is immeasurable – it converted legions of fans, becoming the zeitgeist and a major influence on the next generation, particular those who were involved in the punk movement – musicians, artists, designers – and the subsequent re-birth of rock and pop. The album eventually peaked at #5 on the UK Album Chart on 22nd July having entered the chart at #15 on 1st July. Famously Bowie killed Ziggy at his peak at London’s Hammersmith Odeon, on 3rd July 1973, though Ziggy Stardust’s influence was to redefine popular culture forever: pop music was never the same again. Order the CD or DVD/Vinyl from Amazon now! Now, 40 years later, EMI are releasing a 40th anniversary edition that has been remastered by original Trident Studios engineer Ray Staff (at London’s Air Studios). It will be available on CD and a special, limited edition format of vinyl featuring the new 2012 remaster with a 5.1 mix and high resolution audio on DVD – the DVD features previously unreleased 5.1 and stereo bonus 2003 Ken Scott mixes of Moonage Daydream (instrumental), The Supermen, Velvet Goldmine and Sweet Head.